Telluride, Colo. (June 28, 2018) – Telluride Ski Resort has started construction of the new Telluride Bike Park with an anticipated opening in June 2019. The park has been designed by, and is being constructed in partnership with Gravity Logic, the Whistler, British Columbia-based industry leader in the design, development and construction of bike parks in North America. Mountain biking has become a booming global trend. Not only will this park attract more visitors and provide more opportunities and activities for them, it will help stimulate the local economy. Upon its opening in June 2019, the Telluride Bike Park will encompass approximately 15 trails and 17 miles of terrain, designed to appeal to riders and resort guests of a wide variety of ages, skill and interests. The park will also provide lift-serviced access from Mountain Village on the Village Express chairlift (Lift 4). 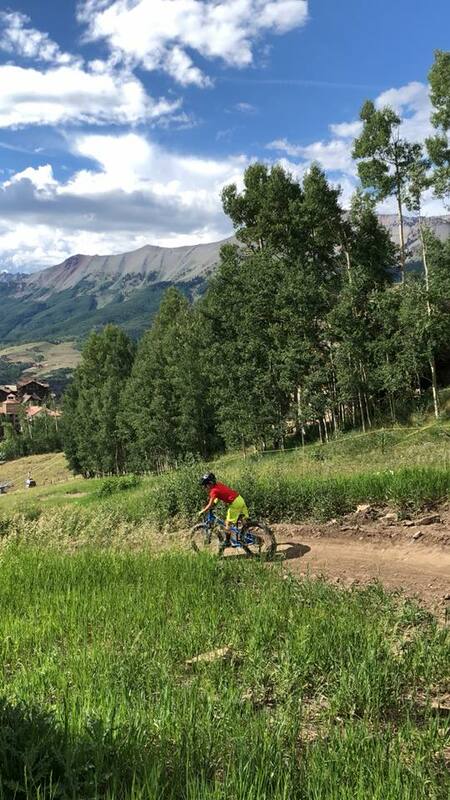 The terrain will include new Freestyle trails (commonly known as “flow” trails), enhancements to the existingTechnical trails (currently managed as the Mountain Village Bike Park), and existing Cross-Country trails within Telluride Ski Resort’s permit boundary (e.g. Prospect Trail, Prospect Loop, Village Trail, Basin Trail, etc.). Anticipated opening on the 3rd Saturday in June with daily operation through Monday Labor Day. Saturday, Sunday operations through the 2nd Sunday in October. Weather Permitting. The XC trails will open at 6:30am daily, and all access will close 30 minutes before sunset. Before 10am and after 6pm, XC trails will be accessible via the Gondola at San Sophia Station and will not require an access pass. During operating hours from 10am to 6pm, lift access to the Mountain Bike Trail Network will require an access pass. Single-Day Mountain Bike Pass: single-day access to all XC, FREESTYLE and TECHNICAL trails, and Village Express (Lift 4). $36/day, which includes a $1 donation to NFF. TSG Winter Season Pass-holders: Unlimited Mountain Bike Trail Season Pass with access to all XC, FREESTYLE and TECHNICAL trails, and Village Express (Lift 4). $25 NFF Donation. Non-Winter Season Pass-holders: Unlimited Mountain Bike Trail Season Pass with access to all XC, FREESTYLE and TECHNICAL trails, and Village Express (Lift 4). $199, which includes a $25 donation to the NFF. XC Trail Season Pass: unlimited access to XC trails, NO Bike Park, FREESTYLE or TECHNICAL trail, or Village Express (Lift 4) access. $25 NFF Donation. For more information please contact Scott Pittenger, Director of Mountain Operations at Telluride Ski Resort,spittenger@tellurideskiresort.com.